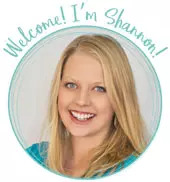 by Shannon Clark in Save Your Sanity | 38 comments | Contains affiliate links. 5 doctors and 3 ½ years later, my medical mystery solved: I have Postural Orthostatic Tachycardia Syndrome. Here’s my POTS Syndrome diagnosis story. I remember so clearly the first moment it happened. I was standing at the kitchen counter, chopping carrots, onions, and celery. My darling boy playing at the table nearby. Suddenly all the energy drained out of me, as if all the blood had fallen to my feet and now weighed the same as, as much lead. The crushing fatigue and shortness of breath seemed to confirm that indeed my body was staging a revolt. Enough was enough. It was giving me no choice but to lay down. In that moment I went from being a vibrant mother of one, nurturing her young family, to someone struggling to do even the basics of daily life. But I had no idea at the time how those same debilitating symptoms would haunt me for years to come. I was about four weeks pregnant, just before my 29th birthday. As soon as I got a positive pregnancy test, I started in on making freezer meals, trying to get a jump on first-trimester nausea and fatigue. As I prepared for Baby #2, I knew what to expect this time around, and even more, since now I had a 1-year-old to take care of as well. Wouldn’t it be great, I thought, to have a stash of freezer meals stored away so I didn’t have to worry about what my family would eat, even if I didn’t feel like touching a bite. But I never got quite as many completed as I hoped. By the time I was 15 weeks along, I would report to my midwife that I was thirsty all the time, dizzy when standing too long, and tired. At 19 weeks: very tired and experiencing loss of appetite, and heart palpitations. All of this seemed to me at the time to be normal pregnancy symptoms, and my midwives apparently agreed. It’s only in retrospect that I can see the significance. This is where it all started. By the time my baby was a few months old, I was still feeling awful. I’m not one to rush to the doctor at the slightest sniffle, but I could hardly make it through the day. I arranged to have my parents come help with the kids, so I could visit a local naturopath. This would be the first of many doctors appointments. Along the way, I was tested for dozens and dozens of possible causes including Autoimmune disorders, RA, Lupus, MS, Hypothyroid, Diabetes, and Lyme disease to name a few. Each time I went for another blood draw and awaited another round of test results, someone would say something encouraging like, “I’m praying you don’t have [insert serious disease I was being tested for here]”. Don’t get me wrong, I treasured all of the kind words and prayers. But at some point, I started hoping for a positive test. Because the fact was, I was already sick. And at least a positive test might bring me closer to a treatment and some level of relief. I’m thankful that my doctors never questioned my symptoms or tried to ascribe a bogus psychological cause to them. But there were the days where I started to wonder. Am I going crazy? Seriously, could this all be in my head? Every time my heart was racing and I could barely breathe as a was doing dishes or standing in the shower, I thought maybe I was having an anxiety attack. I was always wondering why I was failing so miserably to do the most basic chores around the house, and feeling guilty for not being able to get it all done. When it was too exhausting to get the kids shoes on, let alone take them outside to play, I thought, Am I just a tired mom? Maybe this is what life is like for everybody. In those times, I would give up and try to push through with normal life. Inevitably, I’d end up even worse off than I was before and I’d head to yet another doctor for more tests. More shaking of heads. More I-don’t-knows. I had to keep trying for my family. If it were just me, I might have given up long ago, but those tiny darlings of mine needed a healthy Mama. I wanted to be there for them 110%, not the meager 25% I was capable of giving them. They kept me going every single day. Dragging myself out of bed. To every doctor’s appointment. To every blood draw. The effort of searching for answers was physically and mentally grueling, let alone keeping up with daily life. Yet, what choice did I have but to keep searching? I’m a strong person. I have demanded a lot of myself in my life and succeeded in meeting my goals. But no matter how much I wanted to acquiesce to her request, and oh do I want to give her everything her little heart could want, I didn’t have the strength or energy to do anything but let her snuggle next to me while I rested. As I conveyed the story to my doctor through gasping sobs, she gave me a look of genuine concern and decided to throw every last test at me. We were both determined to figure this out. About the same time, I met my friend Amy for coffee. This was one of the first times I had seen her since her big health crisis as neither of us were able to get out much. 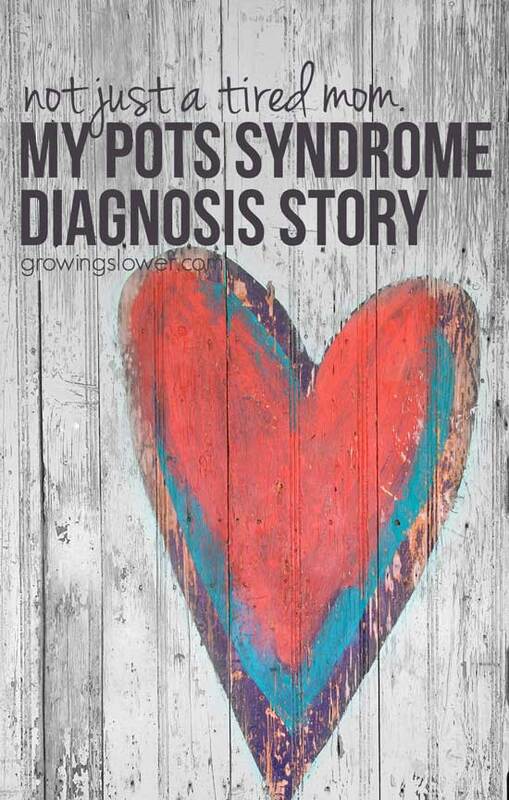 As she shared with me about her new life with a diagnosis of a serious chronic illness called POTS Syndrome, I found so much I could relate to. Fatigue, dizziness, insomnia, pain, check, check, check, and check. Apparently so did a lot of people. She explained that although these are all symptoms many people experience, and so feel they can relate to her suffering, they don’t experience them with the intensity or consistency as someone who is sick with POTS. In the meantime, I was taking a comprehensive tour through the medical literature and watching every expert lecture on YouTube related to Chronic Fatigue Syndrome (which was my only diagnosis up until that point) and I soon discovered my own answer. I learned that Postural Orthostatic Tachycardia Syndrome affects from 25 to 60% of people diagnosed with CFS. As I read through the list of symptoms and stories of POTS patients, I could almost hear an important puzzle piece click into place. 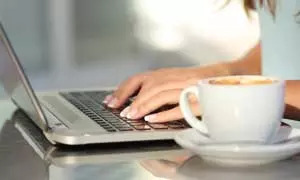 While not all POTS patients experience all of these symptoms, I would say I worked my way through most of this list on a daily basis and a few of the others more sporadically. Good thing, since we all know moms of small children never need to stand for long periods of time or frequently bend down. Not! Lucky for me, POTS is also pretty simple to diagnose. POTS is defined as an increase in heart rate of 30 beats per minute for adults when going from laying to standing (or anything above 120 bpm) within 10 minutes of standing. For reference, a healthy individual would typically have an increase of 10 or 15 beats per minute. This situation is often simulated with a Tilt Table Test to diagnose POTS, but it can also easily be diagnosed with an active standing test within 20 minutes in any doctor’s office. In an active standing test, the patient first lays down in a quiet room for about 10 minutes. They should not have recently eaten or had any caffeine, so it’s easiest to do in the morning. Their heart rate and blood pressure can be taken manually while lying down and then 3 times while standing still for 10 minutes at the bedside. I wouldn’t recommend anyone do this at home, especially not if you’re alone, and definitely not if you think you might faint! But of course, as desperate as I was for answers, that’s exactly what I did. The first time I did this, my heart rate shot up 75 to 158 bpm! Bam. I had my answer. I began to use my Fitbit to track my heart rate as I did normal tasks around the house, and it became obvious why I was exhausted all the time. 115 beats per minute while sitting eating a meal. 125 bpm while doing laundry. 135 bpm while doing dishes. 145 bpm after giving the kids a bath. No wonder I crashed for a week or more after attempting exercise: It was like I was jogging while I was standing still doing the dishes! At my last doctor’s appointment, after the final round of tests came back normal again, she broke it to me (and my husband, as by now he was having to drive me to appointments) that she had done everything she could. I would need to be referred out to some other specialist, though which, she wasn’t even sure. But we were pretty sure, and asked for a referral to a cardiologist, hoping to finally find some effective treatments and an official diagnosis. At my first appointment with the cardiologist (ecophysiologist to be precise), I was put through a similar test as the active standing test I mentioned earlier, where I went from laying to sitting to standing. This time not only was my heart rate monitored but also my blood pressure. I learned that my blood pressure dropped significantly when I stood up in addition to my heart rate sky rocketing. This never got picked up in my regular doctor’s appointments because blood pressure is always taken when sitting, not standing. Throw in a little white coat hypertension, and everything looked normal. If doctors rely on the typical resting blood pressure and heart rate screening we all get at every doctor’s appointment, POTS will be missed. In real life, I was walking around barely conscious. A few more tests needed to be done to rule out conditions that cause similar symptoms like adrenal exhaustion or Addison’s disease, hypothyroid, and anemia. More normal test results, which in turn confirmed what I already suspected. On September 14, 2016, I was officially diagnosed with POTS syndrome, approximately 3 years and 9 months after my symptoms started. I’m one of the lucky ones, though. Many POTS patients aren’t properly diagnosed for 5 years or more! What’s the POTS Prognosis Doc? At the same life-changing appointment, my electrophysiologist estimated that I’ll be able to get back to 40-60% of normal functioning. I know it doesn’t sound like much, but that would be a huge improvement from what I’ve been living with for the last several years and especially the last six months. Of course, I want to be the exception, the one who beats the odds and comes back for my follow up in a year back to full health. But in all likelihood that won’t be the case. Most POTS patients do improve with treatment but few ever achieve complete freedom from symptoms. Quality-of-life with POTS has been compared to patients who are on kidney dialysis or who have heart failure. Many “Potsies” are unable to work or are on full disability. My next great challenge is to learn to live well with chronic illness. I’m doing absolutely everything I can to support my health, and continue to pray for complete healing. My extremely supportive family is helping to give me the best possible chance to get healthy. No matter what happens, though, things will only get better from here. I have many more resources and treatment options available to me now that I have a diagnosis. After 5 doctors and 3 ½ years, everything finally made sense. I’m not crazy. I’m not lazy. It wasn’t anxiety. I’m not just a tired mom. I have Postural Orthostatic Tachycardia Syndrome. POTS Syndrome predominantly affects women ages 15 to 50 years old. Symptoms often first show up during adolescence, pregnancy, or after a viral infection. If you or someone in your life has been suffering from unexplained fatigue, I hope you’ll share this information with them. Hi Chantelle! I’m so sorry about having POTS. It is hard, and so easy to feel isolated, but you’re not alone. *hugs* Do you have insurance? I’m on about 5 different prescriptions, but all of them luckily are generics I think, so they’re each less than $10 a month. What are you taking? I’ve had the same symptoms for years and after I had a battery of tests and referrals to many physicians (including a psychologist) my doctor said, “Maybe we will never know what you have. Maybe one day we will call it ‘tired mom syndrome’ but for now I have no idea.” I think it is no accident that you wrote your article. Bless you! Amanda, I am so sorry for everything you’re going through. I can truly understand how painful it is not to have answers and to know that your symptoms are very real. I hope this info will lead you to more answers soon! Wow. The “not just a tired mom” line is what made me click the pin and read this. Judging by the at-home test, I have it too. I have congenital heart disease, and my cardiologist has never taken my BP standing up, or hinted at anything other than my biscuspid valve and calcifications causing my extreme fatigue, and dizziness and rapid HR upon standing. It’s always the same advice: drink more water, take your beta blockers, increase salt intake, and use compression stockings. She has mentioned that it’s an orthostatic issue because of my lanky build, but never put a name on it or diagnosed me with anything other than the obvious. Thank you for sharing this! Oh my goodness Tiff! I am SO glad that you found the post! I have heard not all cardiologists know about POTS or how to treat it. I was diagnosed by an Electrophysiologist who already had POTS patients under her care, and she knew exactly what to do, thank the Lord! I hope this info will lead to better treatment for you and help you to feel better! Praying for you! I am very happy that you finally found an answer. I think some of the pain that comes with CFS is not knowing what is going on until you start to question your own sanity. This becomes so difficult especially when you have young kids. An understanding/supportive partner can make all the difference. I can sympathize with your situation as I am going through the same thing (CFS, kids, stressful work), but I am getting very close to the end of it. However, I don’t have the increased heart rates but I do get bit dizzy. The fatigue, eye pain, and “spaciness”, and the occasional insomnia are my major symptoms. With self-testing, ton of bodily fluid testing, >15 docs, and analyzing other symptoms it seems that my POTS (kind of diagnosed by a doc) symptoms are actually stemming from adrenal insufficiency issues (low DHEA, low day cortisol levels, insomnia, low fluctuating body temps). I think that due to genetics some people are more prone to get POTS when their endocrine system is altered. I really encourage you to keep going forward, which I am sure you are, and keep optimizing your health (perhaps do an adrenal stress test if you haven’t, test your body temperature, as well as general mineral and vitamin deficiency testing). Overall, the way I look at it is that we were fine (more or less) most of our life and suddenly during a “stressful” time we end up with this syndrome. This gives me hope that whatever we are feeling is reversible with the right diagnosis and treatment. Thank you for your encouragement MB. I can always use the reminder to keep pursuing health, even if it might not be 100%. I really think you’re right on with the catalyst being a stressful time in life. I’m sure getting virtually no sleep for 4 years didn’t help things for me at all! I am glad you’re getting close to finding your answer, and hope you will feel better soon. Thank you so much for sharing this information and your story! I am in the process of getting diagnosed with what I suspect to be POTS and am also 27 weeks pregnant. One of my biggest concerns right now is labor and delivery with the increase in heart rate that I experience with minimal exertion. How did this go for you? Were you able to have a vaginal delivery? My heart goes out to you Karli. My POTS pregnancy and parenting have truly been the hardest thing I’ve ever done. But it hasn’t been without its blessings too, most of all my sweet little girl. I hope you’ll be able to find diagnosis and treatment to help moderate your symptoms very soon. I actually had a (planned) home birth with my daughter, and it was an absolutely fantastic experience. I didn’t have any issues during labor and baby was perfectly healthy as well. You can read my birth story here. So glad you finally got your answer. It really does make you feel like you’re crazy when they have run so many tests and done so much blood work and still find nothing. I really sympathized with the line you said about wishing a test would come back positive. When we know there is something wrong with our bodies but they can’t give us an answer its really disheartening. They have been trying to diagnose my Lupus-like autoimmune disease for about three years without a real clear answer and me being 20 I’m sure it will still be a few years before they are able to, but luckily my neurologist suspected immediately that I also had POTS and scheduled me for a table tilt test after my first visit with him. It’s comforting to know that others experience the same things as you, although I hate that anyone has to experience it. The heat gets me worse than about anything else. Like you said, my magic number is about 72. Anything higher and my heart rate skyrockets along with my blood pressure whether I’m sitting or standing anymore. I so wish I would have been able to find your story years ago! Thank you so much for sharing. I am newly diagnosed but have suffered for over a decade or more. I’m 36 years old and finally a Doctor listened to me. I have Hyper POTS. My legs are getting weaker and weaker, but I’m so looking forward to the future now and getting the treatment I need! I have this high for life again, something that I lost years ago. I can do this, we can do this! I had the same symptoms, except I fell flat on my face time after time. They diagnosed me with Neurocardic Syncope, as I was 16 when I was finally hospitalized for falling. Having a child has made it…kinda better? Since I know my limits and lay down, but then the moment I have to get up… I dread it. I know I’m going to feel my heart race, vision blur, and husband tell me, “you look pale”. My diagnosis isn’t quiet the same, but I give you my sympathy 100% because I think I can meet you halfway in understanding. Stay strong, Mama! I’m so sorry you have so many health challenges, Alison. It is very common for people with POTS to have autoimmune issues too, so it sounds like it would defintely be worth getting checked out. How do you manage parenting on a daily basis? I’m a stay at home mom that was just diagnosed and I’m worried how I’ll be able to properly care for my kids and give them all they deserve. I completely understand your worry, Jennifer, and I’m so sorry you have to deal with this. Even though I doubt my abilities pretty much every day, my children are thriving. I give them all I have to give, and when it’s not enough, I get help. We had planned on homeschooling, but after Pre-K and Kindergarten, we decided to put them both in school. It was too much for me to handle. I have a housekeeper and also a mother’s helper who comes in to help out with the kids, dishes, etc. My husband is a huge help with grocery shopping and cooking. I am very blessed that I can focus my full energy on my kids this way. Hi Shannon, I was recently diagnosed with pots syndrome, I am on a beta blocker and mididrine, my heart rate and blood pressure are pretty much controlled, but fatigue and pain are not improving. Hi Larry, I’m so sorry you’re going through this. It sounds like you and your doctors are doing everything right. Honestly, beyond controlling heart rate and blood pressure, my symptoms haven’t improved a lot. My digestive issues have been helped a lot by the low FODMAP diet. Pain and fatigue are still pretty bad though. I have times that are better and others that are worse. Exercise does help for sure, so keeping up with that as much as you can is great. I know it’s so tough to do when you’re exhausted and in pain though. Hang in there. I would say more than anything finding a good mindset and staying positive has helped me learn to cope. I hope that since you were able to be treated early on in your symptoms that you will fare better. You’re in my prayers. Family is very lucky. Hope you start seeing some real progress soon. Oh yes, I have heard the same thing about hyper POTS. I’m so sorry. Right now I’m on Midodrine (to raise blood pressure) and Metoprolol (a beta blocker to lower heart rate). I had tried a different beta blocker before but wasn’t having good side effects. I also like that the one I’m on now is extended release, so I only have to remember to take it once a day. I hope you find something that helps. Do you have a good doctor who knows about POTS? With pots, but I think hyperpots is so rare, unless you are only seeing pots patients, you don’t really see it often?? Treating the fatigue, because for me that is by far the worst symptom. If you have any suggestions I would love to hear. The midodrine may help slightly, not certain. symptoms. Had every test possible w/no results. My Neurologist and Cardiologist don’t have a clue. Had every blood test. The more I read about POTS Syndrome I hope to get to the right doctor. My quality of life has been zero. I understand what a struggle it can be. I’m so sorry you’re going through this Pat. Praying you find the right doctor soon. I have been suffering with similar symptoms for about 3 yrs. No one can find any answers. Im at the end of my rope with drs. They just think im crazy. Im on just county medical because im on permanent disability. No medicare for me! No drs accept my horrible insurance and so im stuck. My blood pressure is completely erratic and my pulse is extremely low. I have a calcium level within normal range but its 10. Which is teetering right on the high side. My family dr isnt at all concerned because after all my blood tests are in normal range. I did have a serum ck come back at 350 after moving some furniture the next week back to normal. Having terrible gastro issues. And my dr wants to drag his feet doing all of these tests hes done numerous times. Just taking his time wont refer me out for some reason. Im having horrible pain. And i also have 2 folic acid deficiencies that i have to pay for a prescription of l-methylfolate. Where do i start? I feel nauseated all of the time and have to force feed myself when i think about it. Can someone direct me in the right direction as far as drs. I live in northern cali.. And sont have much to choose from. I was told at the e.r. functional medicine? From my understanding they are endocrinologists. I dont know. My mom passed from cyto thrombotic purpura at the age of 58. Im now 49 and everything takes its sweet time and as im sure you all can understand….im in a hurry to find out exactly my diagnosis. You all are so positive i feel like im crazy and beating my head against a brick wall. So can anybody out there help me??!!! Keep on fighting all of you warriors your in my prayers! Thank you for reading. Lisa, I’m so sorry for your suffering. I completely understand how frustrating it can be for everything to look ‘normal’ when things are most certainly not. Praying for you. Thank you so much for your article. After years of medical tests (most of which were negative) but a slew of debilitating symptoms (GERD, IBS, OCD, TOS, extreme fatigue, migraines/ vomiting, brain fog, sweating, etc. ), I am finally nearing an official POTS diagnosis. I also have two children and am always too tired to be the type of mom I always dreamed of being. I also work full-time and am just absolutely drained. i need 10-12 hours of sleep per night just to get through the day; so obviously, there isn’t any time left for any type of enjoyment. I totally understand what you mean about having hoped that one of your blood tests would show some kind of disease. I myself have always been disappointed when tests came back all-clear. i just want to be able to get a diagnosis and get better (your phrase ‘i already know I am sick’ really struck a chord). I just started taking beta blockers and they are making me very short of breath (apparently my breathing is trying to compensate for my slower heartrate?). Anyway, I go from about 70 when lying down + relaxed to about 130 standing and doing nothing. 150-160 when puttering around the house. I am actually very happy to be nearing a diagnosis – again, I’m sure you can relate to the feeling! Anyway, just wanted to thank you for your article. Everything you said reflected my own experience : ( Ok, except for the mental health part. For years, I’ve been living with the belief that I had OCD (my obsession/ compulsion being wayyyy too organized and having to follow timings religiously). I’m now suspecting that I never had OCD to start with. It’s just a reaction to having absolutely no time to get anything done during the day due to my excessive need to sleep. This to me is very upsetting; living for years thinking I have a mental illness and perhaps not even having one. There is nothing wrong with mental disorders, but it still hurts to have had the wrong diagnosis all this time. Lauren, I’m so sorry to hear you’re going through this. I think you’re right on with what you said about OCD. From everything I’ve learned, the obsession symptoms and over-focus on time is a result of dealing with POTS and the autonomic nervous system dysfunction that goes along with it. I pray you get your diagnosis and the help you need very soon. The initial test was a platelet function assay. My hematologist said any doctor can order it, but few doctors are comfortable interpreting it. I have a history of easy bruising, heavy periods, and petechiae, but I also went through 13 surgeries with no immediate bleeding events. I had to self-refer to hematology and nag the doctor to order the tests. He told me it was unlikely the tests would show anything, and he was astonished at the test results. If any fellow POTS sufferers have bleeding related symptoms, even mild ones, please, consider asking for a PFA. Any hematologist/oncologist can order it. We so desperately need answers, and it can’t be coincidence that so many people with POTS also have a rare platelet disorder. This is such a perplexing disorder, isn’t it? And researchers can’t seem to move fast enough to look into all the potential causes. Patients need to stick together and share this valuable information with one another. Thank you! I pray you will find relief with your new diagnosis. Wow my friend has been recently diagnosed with POTS . I have been trying to be my own advocate since 2008 with test to numerous to list and so many doctors. I was finally diagnosed with RA , AS , fibro , in 2013 . After one sided migraines , myofacial pain , and an MRI showing scattered lesions on my brain , which led to possible MS , and tons more testing and specialists in 2009 , and now Addison’s disease after I had my 5th leg surgery in August from a fall in April 2015 the drs cousins get my B/P up and blood sugar . So many of my symptoms sound like POTS too . I mean I’m 44 and take entirely too much medicine . My legs are extremely weak , all my muscles are , I’ve almost fainted in the summer heat , thought I’ve been having a stroke a few times , Been to a heart specialist , didn’t pass pulmonary f/t . Brain fog , memory loss , I never have energy , which Addison’s can be very similar to POTS . IT’s so frustrating . I was told back in 09’ I need to go to a psychologist. You just know your own body . I’m not a dr but I know my body better than he/she does . Yes, you certainly do know your body best. I’m so sorry for all you’ve been through, and I pray that the meds will help as much as possible. Hey there, I am almost 29 years old and I have a daughter who is 16-month-old about two months ago I started feeling like my heart was racing and I went to the doctor and sure enough it was and put me on a beta blocker which is help my heart rate stay down but I have palpitations constantly even if my heart rate is at a normal level it still goes up a bit if I’m doing things around the house and my breathing seems a little abnormal since this is all started and my first symptom was arm weakness. I realize that I couldn’t hold my daughter as long as I used to and they just felt tired and weak. Just curious to know if your arms felt like this also because I have been put on anxiety medication to see if it will help everything ( it hasn’t yet) and I’m also stressing on a daily basis because I don’t know what’s wrong don’t feel like myself. Megan, I’m so sorry you’re going through this. I was fatigued, but especially felt weak and tired in my legs, sometimes arms though. And yes, I felt palpitations, even when my HR was normal. Although it’s not fun, the good thing is that nothing bad ever happened other than the discomfort itself.